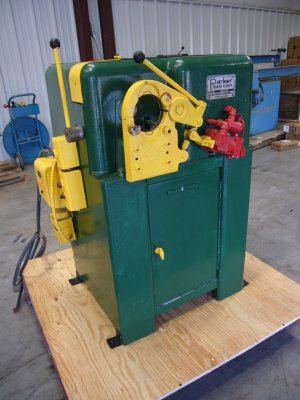 This is a real clean used Parker (Lakeland) Model 248 power flaring, beading and squaring/deburring end-finisher. This unit comes complete with a floor stand. Now is your opportunity to have one for your facility. If you do any tube fabrication, or want to get into the tubing business, this is a very versatile machine to own. 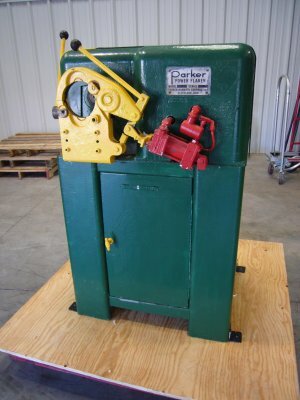 And, Parker (Lakeland) has a reputation for making top quality and highly reliable tube fabrication equipment. 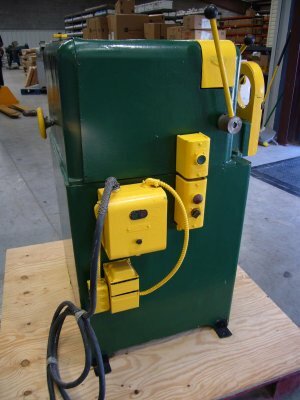 This machine has been used, but all of the electrical, pneumatic and mechanical systems are in very good condition. An Operator's Manual will be included with the equipment. Beading Capability: 1/4" to 3" O.D. Tubing. Flaring Capability: 1/8" to 3" O.D. Tubing. Squaring & Deburring Capability: 1/8" to 3" O.D. Tubing. Electric Motor: 3/4 H.P., 220/440-3-60. 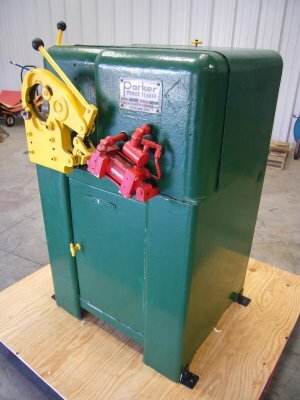 Machine Dimension: 34"W, 32-1/4"D, 47-1/4"H.
Weight (stand included): 380 lbs.